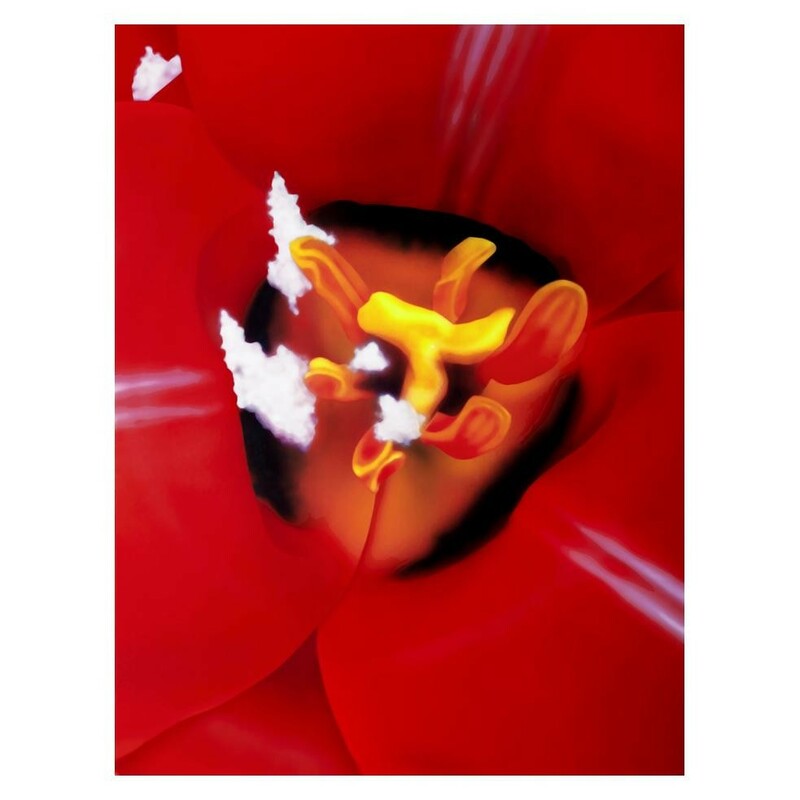 Quinn’s flower prints explore two persisting leitmotifs of his work – beauty and death. They investigate beauty, both as it manifests itself in the natural world through flowers, and how it is mediated through human intervention. For his flower pieces Quinn makes various flower installations selecting a wide range of species from different continents that would never bloom at the same time. The installations were photographed and subsequently digitally reworked by the artist before printing. Quinn captures flowers species in their prime, rescuing them as it were from natural decay. He intentionally accentuates the voluptuous nature of the plants and flowers: ‘I wanted to make pictures that are celebratory and a beautiful mix of colour’. Pigment print with varnish applied by hand. Printed using pigment ink and drop-on-demand Epson 9600 printer on 300gsm Somerset Velvet Enhanced paper. Published in 2007. 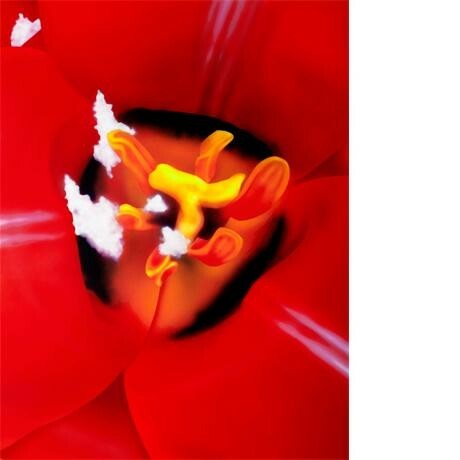 Marc Quinn (born in London in 1964) studied history of art at Robinson College, Cambridge, subsequently working extensively in sculpture, paintings and drawings using media ranging from dramatic materials such as ice, blood and even excreta, to the more conventional glass, marble and lead. His marble figures of amputees, a meditation on the idealized figures of Greek and Roman statuary, culminated in a giant statue of a heavily pregnant Alison Lapper, a woman born without arms, on the fourth plinth in Trafalgar Square. ‘Self’, a sculpture of the artist's head created from the frozen blood of the artist himself is equally uncompromising. The principle behind ink-jet printing was established over 100 years ago. Recent developments in piezoelectric technology have resulted in increasingly high-resolution colour prints. When subjected to an electrical charge, the piezoelectric crystal expands, forcing ink through an array of microscopic holes onto the surface of the paper or other surface. The resolution of the print is significantly enhanced if the paper is coated with an impermeable layer to keep the droplet on the surface. Until recently, ink-jet printers could only use dye inks, but improvements to the ink and print heads are resulting in pigment inks. These have reduced colour range but increased life-expectancy. .